Custom vehicle wraps are available for all shapes and sizes making them a great option for most businesses in Riverside, CA. 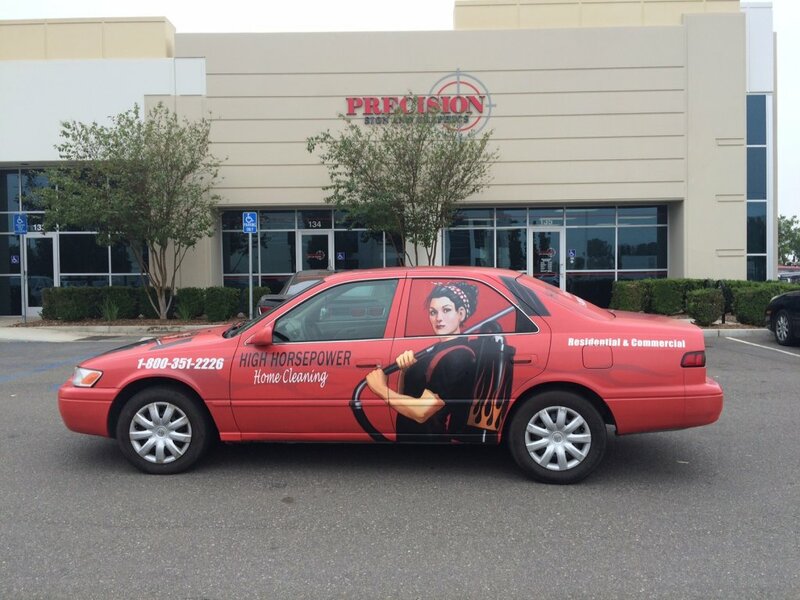 Because the first impression of your business is so important, having a professionally designed, crafted and installed custom vehicle wrap is an important choice; so make it a good one. 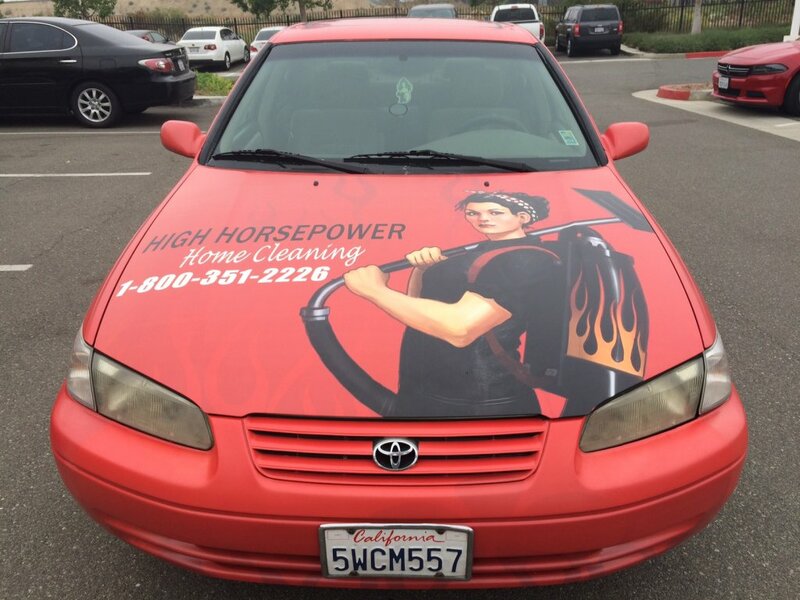 Recently the High Horsepower Home Cleaning Company serving Riverside, CA. & surrounding areas chose Precision Signs & Graphics for their custom vehicle wrap for their vehicles; let’s look at some of the steps that led to this eye-catching project. The choice that High Horsepower Home Cleaning Company, serving Riverside, CA. & surrounding areas, made to utilize the services of Precision Signs & Graphics for their custom vehicle wrap was not based upon just price. They looked at the craftsmanship, quality of wrap materials and our reputation of high business standards as determining factors when choosing a company for their custom vehicle wrap. As this project was to be a focal point for their business, it was important that the final product reflected their branding, as well as the quality reputation that they have earned within the community. With the mindset that your custom vehicle wrap will most likely be one of the first impressions that customers will see (whether it be in Riverside, CA, or elsewhere), particular attention must be paid during the initial consultation and design. 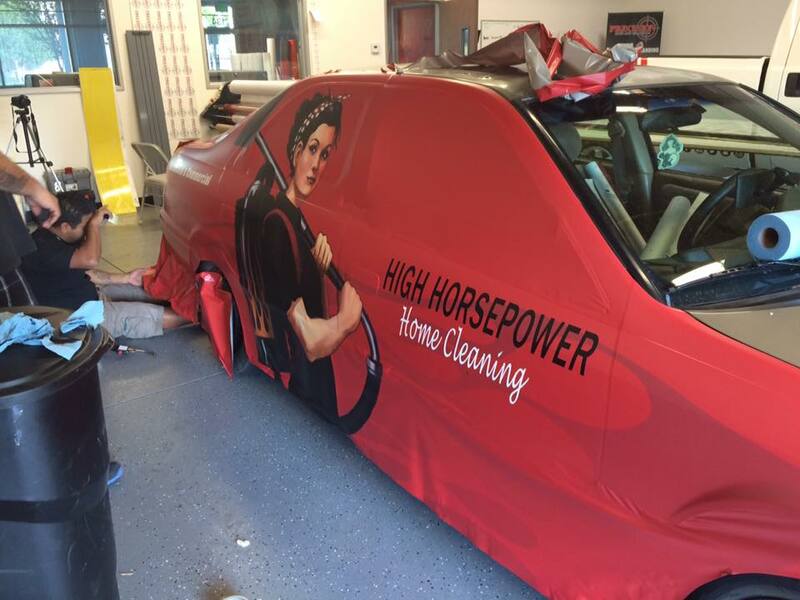 Using examples we were able to identify the fonts, colors, graphics and sizing needed to create the custom vehicle wrap to the High Horsepower Home Cleaning Company’s specifications. Utilizing some additional resources such as their print media and website we crafted a design that accentuated the branded look that followed along with their creative marketing. Naturally, the final vehicle wrap design was approved by High Horsepower Home Cleaning Company prior to material selection and installation, so there was no doubts on their part whether the finished product would look good or not. They were also able to see a rendering of what the finished product was to look like before the first inch of material was printed. Some vinyl films allow digital and screen printed graphics to be applied where deep contours and corrugations are found (typical on van models with recessed areas and performance cars that have a lot of flair). Other types of films are selected because the application needs , for example whether the application will be for a short or long-term needs. These removable ﬁlms are great for ﬂeet and vehicle graphics; its versatility also works well with interior and exterior signs. As part of a perfect installation, the installation crew will receive a design template (printout) that identifies the location points for the most important elements in the design, namely the largest photograph or design element and any logos, phone numbers, websites or slogans. These elements are positioned in place with the installation crew making sure to align these elements first, allowing any additional graphic elements to freely flow around the vehicle shape and complex curves. The entire wrap process can be done within a 1 to 2 days; if needed, the wrap can be scheduled as to work within the downtime of your vehicle. Obviously, we prefer longer periods of time, as we can get very busy with a queue of waiting vehicle wraps that accumulate. Precision Sign and Graphics is a locally owned and operated sign company that utilizes the latest technology, top industry graphic design talent and state-of-the-art equipment and materials to produce our the very best product available in the Riverside, CA. area (or anywhere else for that matter). We seek to build long-term relationships with our customers by treating every customer with respect, understanding the diversity of opinions and a partnering mindset desiring to see your business succeed. 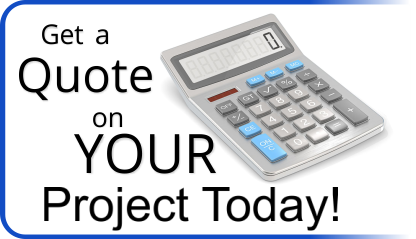 Call to let us quote your custom vehicle wrap today! Custom Acrylic Lobby Sign for Fandom House Studio in Riverside, CA.